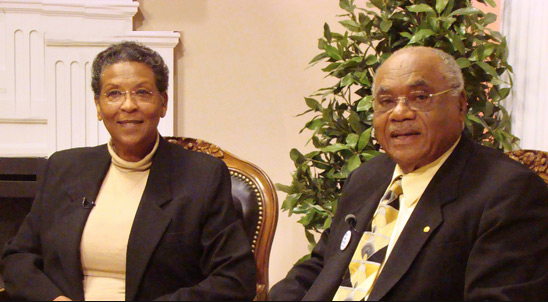 It was in 1980 when Richard and Carolyn Bland, founders of UPMI, were invited to visit a local prison in Alabama. After this visit the Holy Spirit convicted them that the inmates were hungering and thirsting to know about Jesus Christ. The Blands were impressed to give 200 copies of Desire of Ages and Steps to Christ to the prison chaplain for the inmates. The prison chaplain was so greatly impressed by these books that he requested one thousand more copies! This excited the Blands and it gave then the desire to do more. The Blands organized a small group of volunteers from several local churches. This was the beginning of United Prison Ministries. In just over a year UPM grew from one to nine prisons per week with 110 volunteers. In 1984, UPMI expanded to other states. In 1989, after visiting prisons in Russia, Romania, Ukraine, and Norway and giving them thousands of spiritual books, United Prison Ministries became United Prison Ministries International (UPMI). UPMI is currently reaching into over three thousand prisons in all 50 states and hundreds of prisons around the world such as Russia, Romania, Ukraine, Africa, India, Canada, France, Indonesia, Philippines, plus many more. UPMI has distributed more than 70 million Bible lessons, Bibles, and life changing books free of charge to prisoners around the world. Now, thousands of prisoners have made a decision for Christ and are keeping His Ten Commandments because of your prayers and giving. After much prayer and reflection, Richard Bland, UPMI founder is announcing his retirement after thirty-three years of service. Richard will continue to support the mission by occasionally meeting with prisons, churches, organizations and other groups. The dedicated UPMI Team and Board of Directors are happy to step in and continue this powerful work and look forward to the opportunities, challenges and blessings before us! We are happy to announce our newly appointed Prison Ministry Director and Chaplain, Antonio “Tony” Hall who has been an integral part of UPMI for over thirty years. Tony and the UPMI Team will be available to meet with schools, churches and prison ministry groups to provide training, workshops and seminars. The vision Richard held for UPMI at its humble beginnings in 1980 has largely been fulfilled and over seventy million Bibles, Bible lessons and spiritual literature have been distributed free of charge to prisoners throughout the world. The UPMI World Headquarters is located in Verbena, Alabama. This campus holds our media center, offices, warehouse and nine volunteer housing units. New programs and projects, many of them designed to provide training for ex-offenders are daily touching the lives of those within our communities while providing effective witnessing tools for those interested in developing satellite ministry groups within their churches and organizations. A few of our projects such as the Adopt-a-Prison/Prisoner (www.upmi.org) and Verbena Hills Farm (www.verbenahillsfarm.com) are reaching not only into prisons, but also within our communities with Christ-centered teaching and healthy living outreach programs. In addition, our Miracle Broadcasting Media Center is another avenue that is available to churches and organizations seeking to present the Gospel message through radio, television, CD or DVD. We pray for a blessed retirement and express our heartfelt gratitude for Richard’s service and sacrifice. Richard is—and will remain—a strong promoter of UPMI. His belief that every man, woman and child must receive the Gospel message has created a legacy that will reverberate throughout the world for years to come. All love offerings given as an honorarium on behalf of Richard will be used to further this gospel outreach. We praise God for His tremendous blessings. As the result of the extraordinary generosity of our faith and prayer partners, UPMI is debt free, allowing us to fully focus on sharing the Word of God throughout the world. We thank you very much for your kindness and partnership throughout 2014. May the Lord continue to richly bless you as we co-labor together in His vineyard for His soon coming!